Morgan 's Lair: Prologue from the new book, Sinner Repent. Prologue from the new book, Sinner Repent. 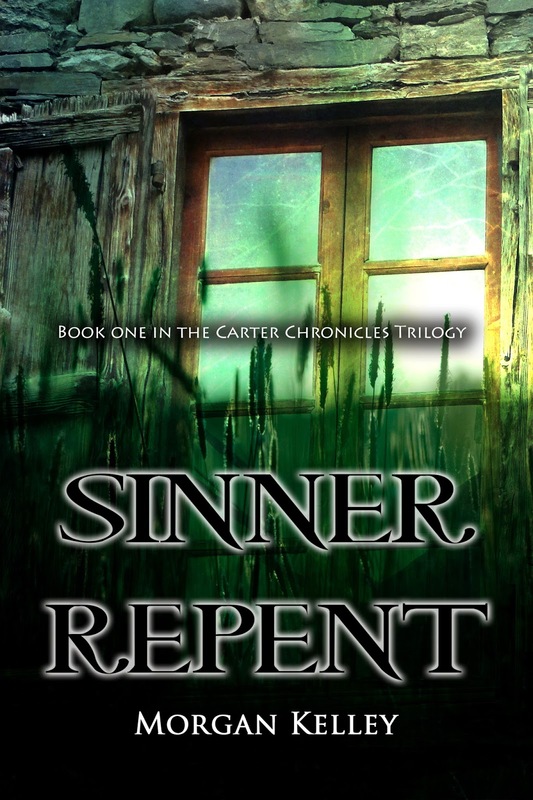 Like I promised, here is the prologue to my newest release, Sinner Repent. In Consumed by Wrath, we met Doctor Callista Gaines. Now, you get to find out her back story and how she became Ethan Blackhawk's therapist. I hope you enjoy it as much as I loved writing it!!! It'll be available by THIS Friday!!!!! So, come on back on March 14th and I'll give you the Amazon links! As Sissy Parker slowly began to wake, she had no idea where she was, or how she ended up there. Trying to move her arms, Sissy could tell they were restrained above her head, and immediately began to panic. Struggling to get her bearings, Sissy blinked rapidly, trying to take everything in. All around her there were candles and shadows. Deep down, she had this building feeling of horror, as she could sense that there were malevolent eyes watching her from the creepy darkness. What caught her completely off guard, was when no one tried to stop her frantic wails for help. Instead, she was met with laughter. Finally, after a brief amount of time passed, the first shadow stepped forward. Sissy stared at the figure, trying to adjust to the dim light in the room. “Please, what do you want from me? Why am I here?” she begged softly, as the words came out more like a whimper. They were all clothed in hooded black robes tied with red silk belts. The first figure, the one who had touched her, must have been the leader, as that robe didn’t match the others. Sissy glared at the figures who were moving into a circle around the table she was lying on. The tears came as she pleaded for her life. “We’ll make you our offering, purifying the town of the first sin.” They began moving around her, touching her naked flesh with their hands. Reality hit, as Sissy finally understood what they were going to do to her. In the back of her mind, the logical part of her brain was warning her of what was to come. The confusion was finally overcome, and now it demanded she flee. There was nothing but fear present, as the end came closer. When the ritual had ended, they moved Sissy’s barely alive body to the field out past Walker’s Point. They found the perfect spot and laid her in the grass. The leader of the group pulled the black hood from Sissy’s head and stared down at the wide-eyed look on her face. It was quite obvious that she had suffered greatly. Now, it was time to end it. With one slice to her neck, the blood trickled out and coated the message sickly. © Copyright 2014 by Morgan Kelley LLC All rights reserved. No parts of this publication may be reproduced or transmitted in any form or by any means, electronic or mechanical, including photocopy, recording, or in an information storage or retrieval system without written consent from the author. Book two in the Carter Chronicles will be out for Christmas!!!! Then, you'll meet Luke and learn about his journey with Maura.